When writing Destiny’s Second Chance, I actually identified with two characters. Not because I am schizophrenic, but rather for the reason I had to write this story. My late mother was an adoptee. Back when she was adopted, people tended to hide that status. She never told me she’d been adopted until the day I, an extra snarky teenager, became convinced that I must have been adopted because my parents were so mean to me. When I demanded to be returned to my “real” parents, she was deeply hurt and then admitted that she had been adopted, that I had not, and that being a parent was the same regardless of how the child had come into the family. My guilt at hurting her (it was so obvious when I looked into her eyes and saw her heart) and surprise prevented me from replying. But I knew I had to make amends. Back then, I wasn’t quite sure how to do so. When I began exploring the emotions around adoption through conversations with adoptees, the parents of adoptees and others, I imagined my mother hopping from my right shoulder to my left, depending upon which person’s point of view I was focused. When creating Isabella, Mom sat on my right shoulder, reminding me that she really did love her child, even though she had to give up the baby. It was easy to see how quickly Bella might have grown up as a result of that experience, and how she first exhibited her strength of character by refusing to accept the first adoptive parents who sought her out and by demanding to stay in touch with her daughter. When I focused on Destiny, Mom perched on my left shoulder, insisting that I show her insecurities. 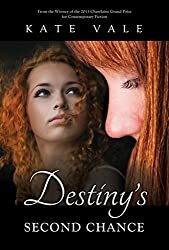 Destiny was more financially privileged than her birth mother, but looking unlike her cousins or either of her adoptive parents was only one of the ways in which Destiny felt unsure of who she really was. Even when she is approached by Bella, she lashes out, demanding to know why Bella didn’t keep her. Another person was insecure about adoption: Destiny’s adoptive mother, Vanessa. 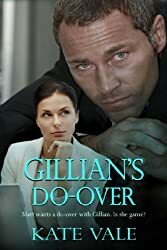 She deeply regrets that she was unable to get pregnant, but she loves the baby she has raised, her own fears becoming more obvious as she clings to Destiny after her divorce. Throughout this story, I tried to show how all three of these people grew in understanding of themselves and of each other. My only regret is that my mother never lived to see how her experience informed me, her daughter, in so many ways. You can reach me via my website: http://katevale.com/. and Goodreads.com https://www.goodreads.com/author/show/6584463.Kate_Vale. 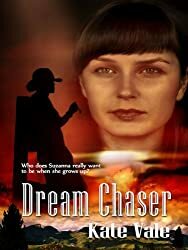 I review books and place those reviews on both Goodreads and Amazon.com. It's nice to meet a fellow author/reviewer, Kate. And I really enjoyed your post. I love that image of your mother hopping from one shoulder to the other. My characters have a disturbing habit of perching on my shoulders too. But my mother perches mostly when I'm washing or cleaning; my dad when I'm driving, my brother when I'm trying to understand politics, and my husband... he's there in my mind all the time. I wish you lots of sales of Destiny's Second Chance and your other books. They all sound wonderful. Thanks for the opportunity to blog on your site, Sheila. It's a privilege and an honor. I'm pleased to host you Kate. Your characters and your book sound like a great read.